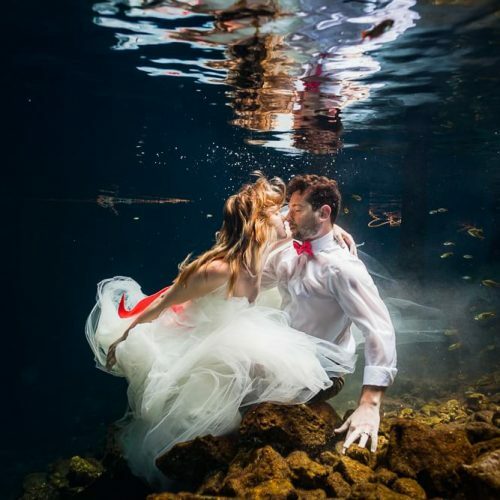 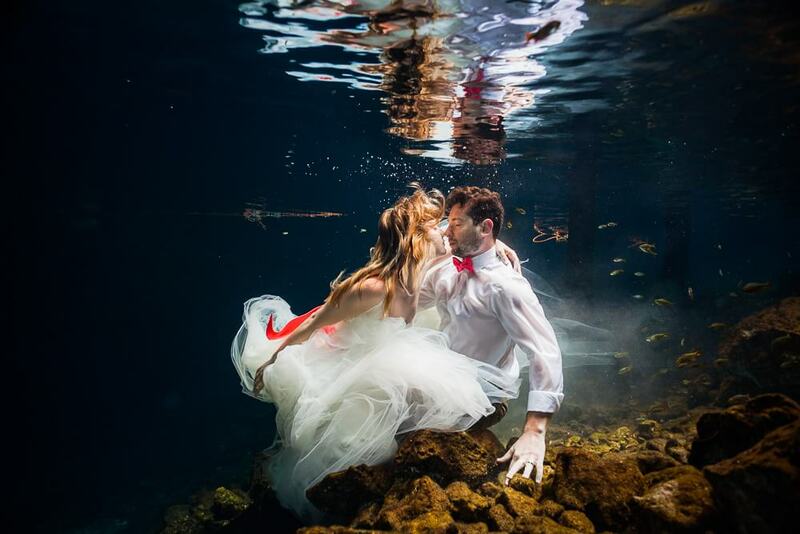 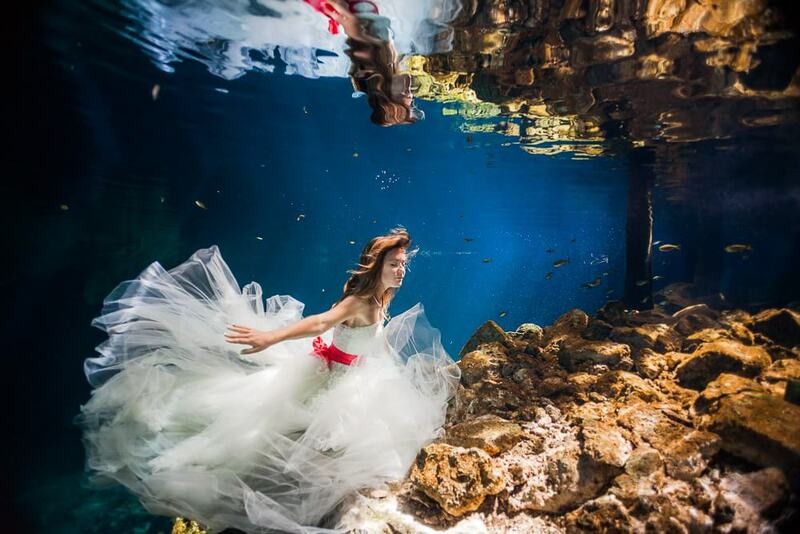 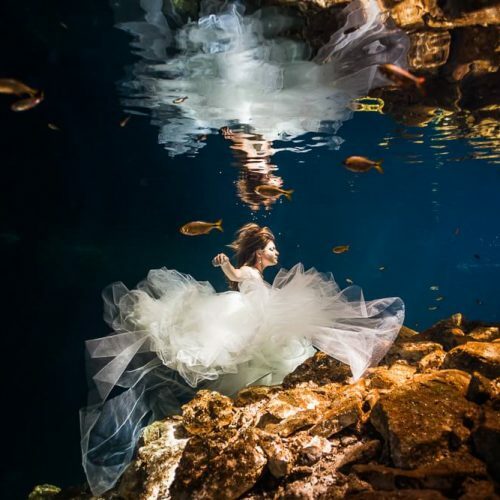 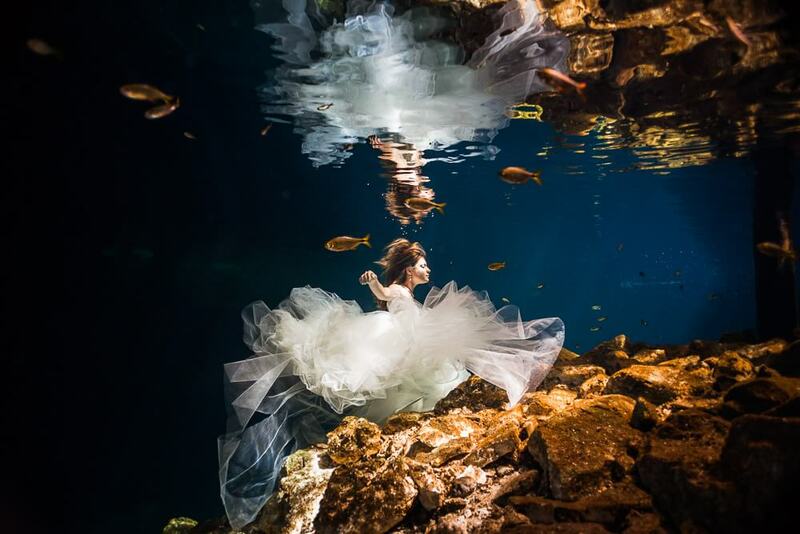 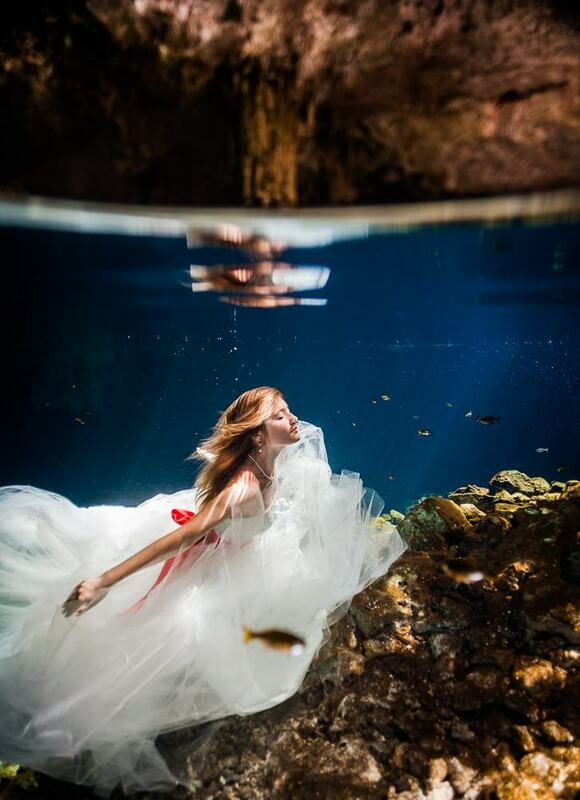 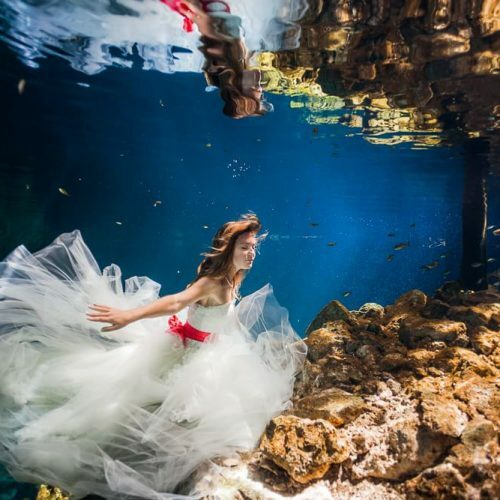 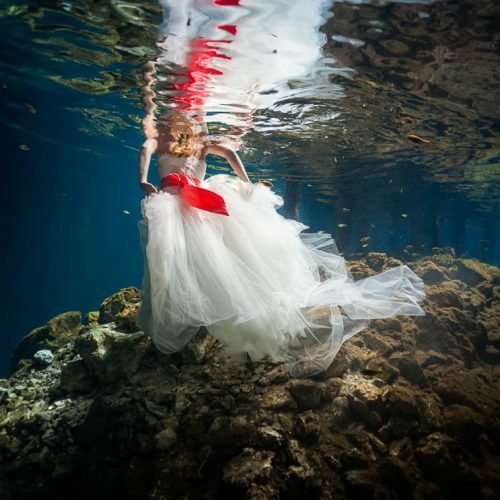 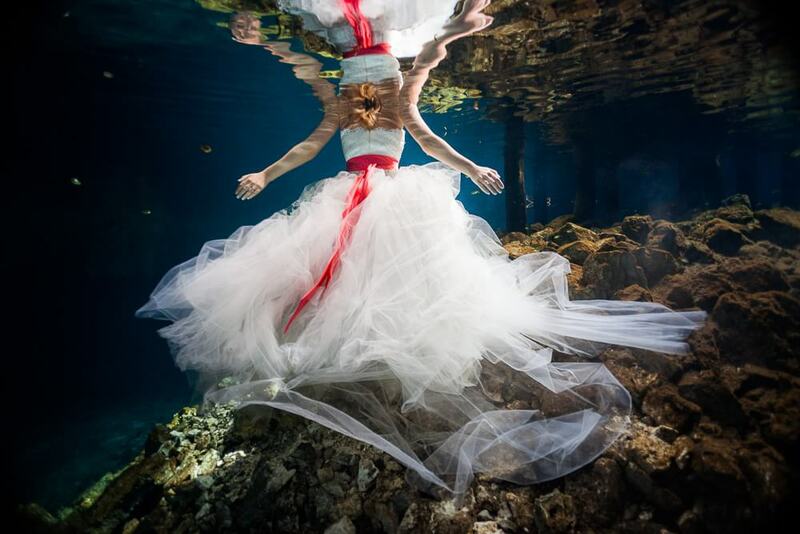 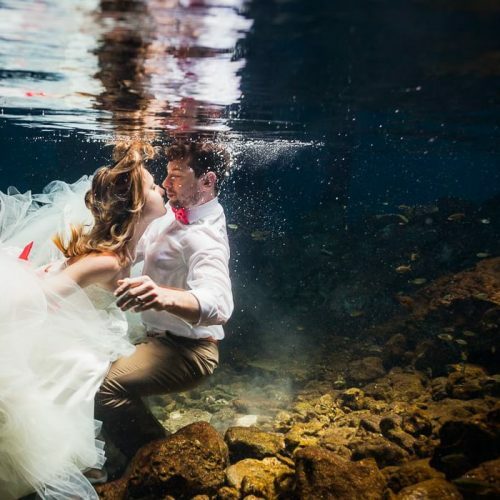 This is one of my favorite underwater Mayan Cenote Trash the Dress shoots. 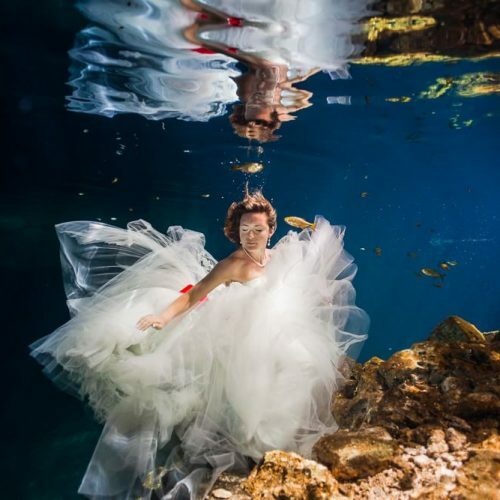 The images are amazing and I am so happy for Tanya and Herman as they put trusted themselves, put faith in the process and ended up with some magical Mayan Cenote Trash the Dress images. 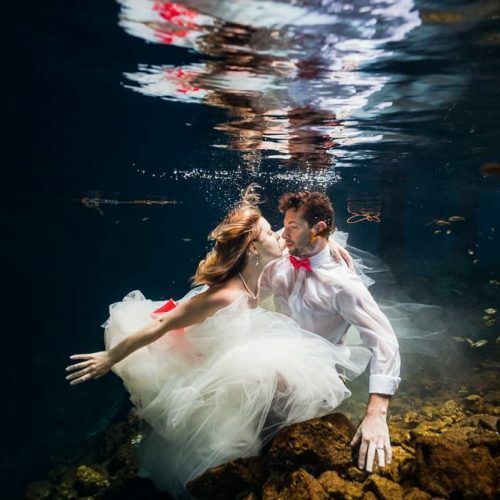 It’s so rewarding as a photographer to see this happen for a couple and I am honored to share these beautiful images with you. 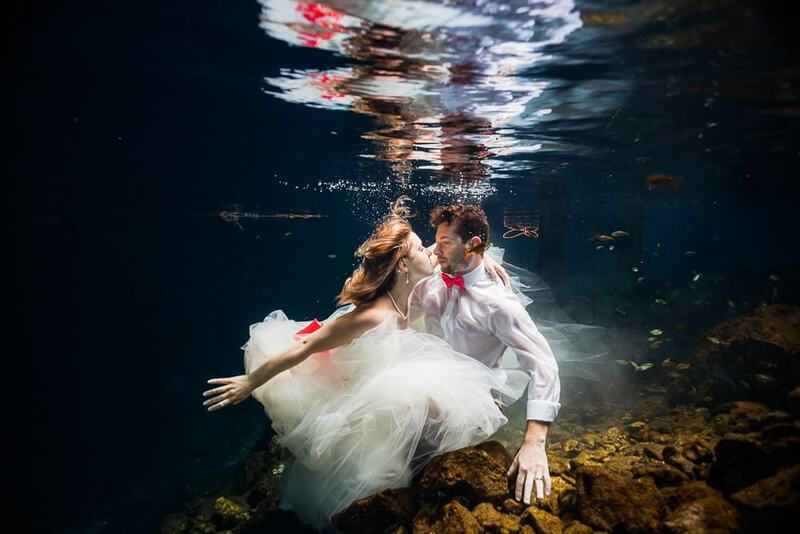 Working with Tanya and Herman was an amazing experience. 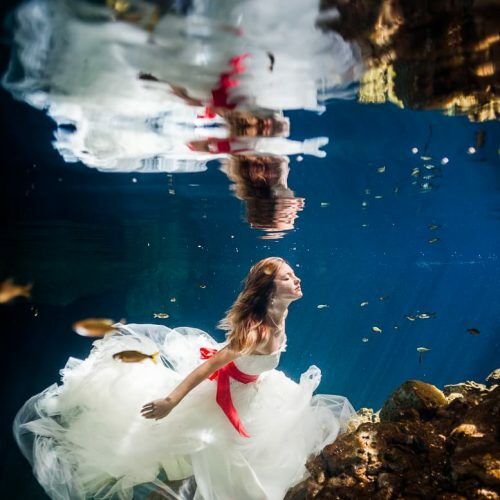 We talked about what we wanted to achieve while we were on land, practiced some techniques and laughed about our mistakes while we were dry. 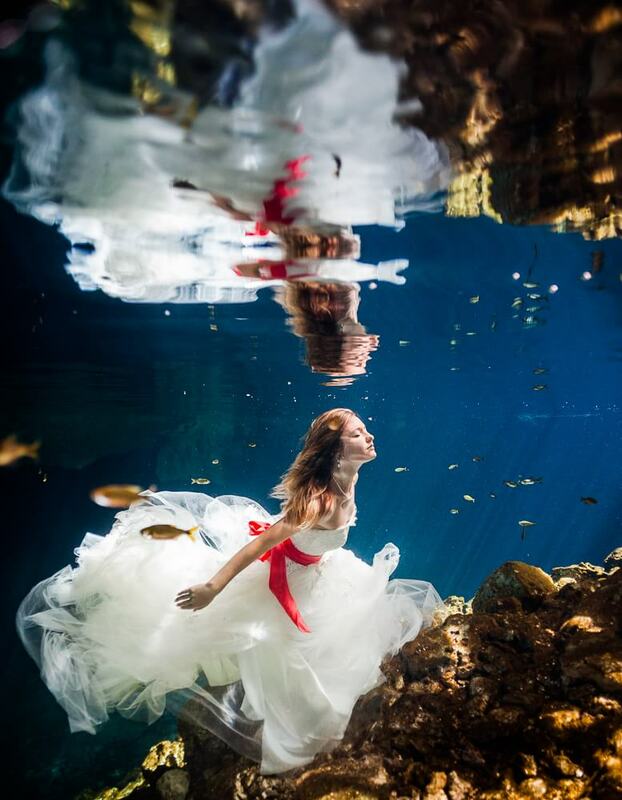 After some practice, we all jumped in the water and Tanya was able to use these same techniques in the water to get amazing images. 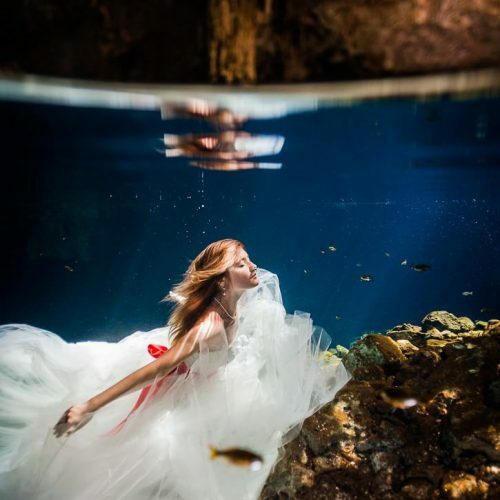 Her facial expressions are solid, she looks beautiful and the surreal nature of photographing underwater makes all the trash the dress images simply amazing and otherworldly. 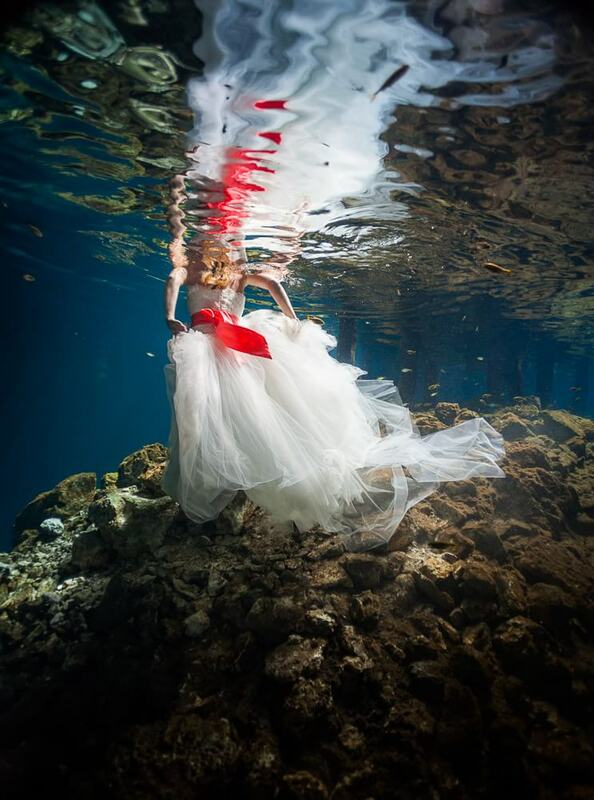 One thing I have to mention is that Tanya’s dress was incredibly difficult to work with. 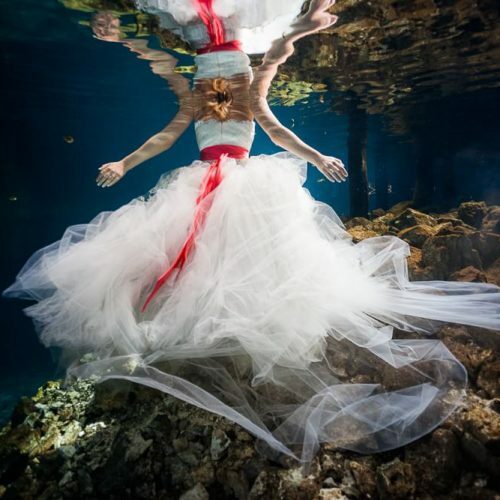 It took me ages to get the air out of the dress and then it was still all over the place when she went below water. 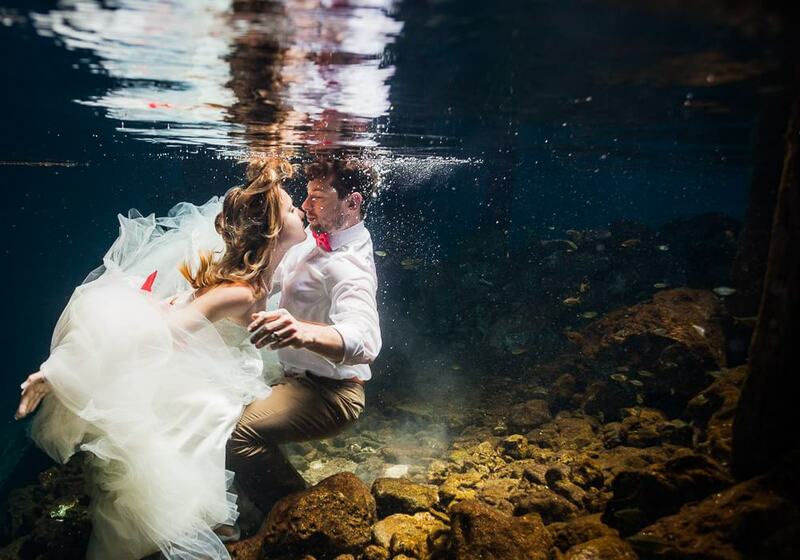 Most of the time, this made it incredibly difficult to get great images. 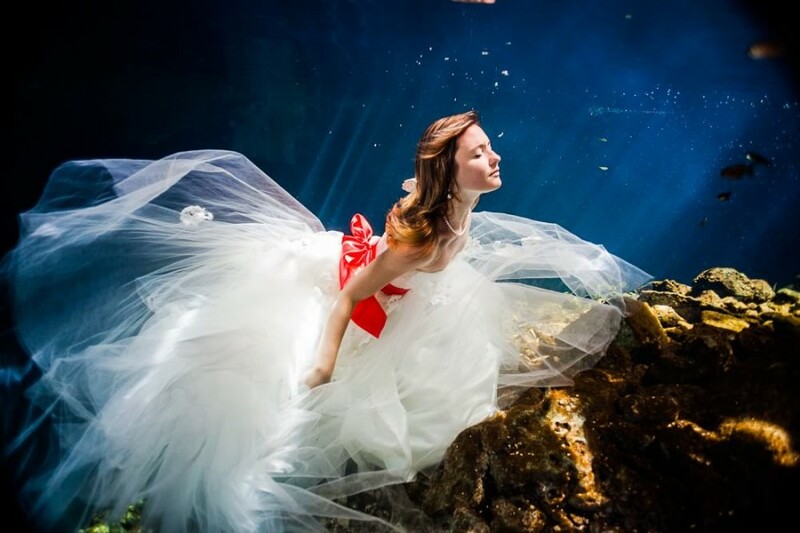 However, it also meant that when we did get images, they were spectacular! 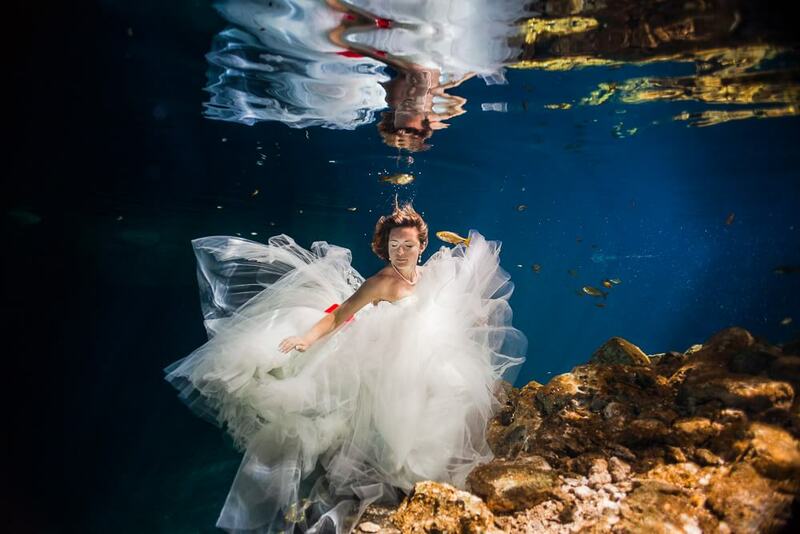 I can’t thank Tanya enough for sticking with the process as now we have these beautiful images to share with the world. 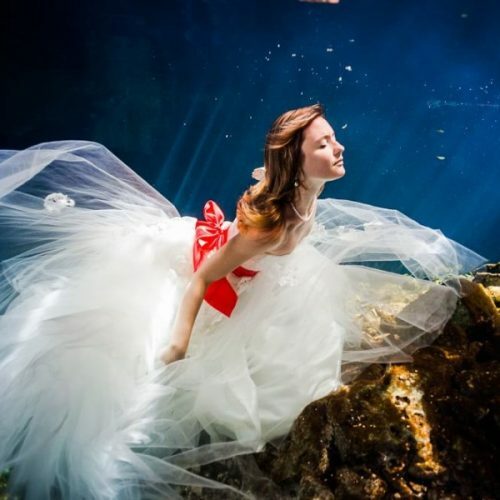 Get our pricing without waiting.